Concerned You May Have Low Testosterone? Struggling to Find Care in Your Area? If you're concerned about low testosterone and can't find a local provider, we can help. Our video-conferencing approach gives you access to quality Testosterone Replacement Therapy in the comfort of your own home. After an initial visit in the Dallas, Texas area, you will receive prescriptions at your doorstep and continue your care through video conferences with your dedicated provider. Your initial consultation is free. After that, your new-patient evaluation, 2 blood tests, and a video consultation to review lab results will cost $150. If TRT is prescribed, we'll apply $100 of the fee to your 1st month of therapy. 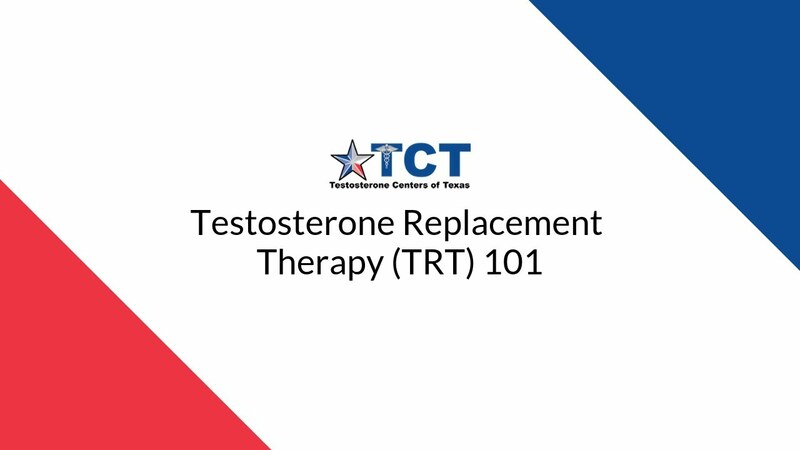 Since 2013, TCT has provided high-quality Testosterone Replacement Therapy across the Dallas-Fort Worth area in North Texas. We offer remotely managed services to patients who live a bit farther away through The Low T Group. Once you have completed all proper blood testing with an approved lab in your area, we can then schedule an in-person visit in Dallas and discuss how to make your visit as quick and easy as possible. This allows us to establish you as a patient and begin your treatment, which you will then self-administer at home. If you’re ready to just get started, fill out the form — we’ll contact you right away to schedule your free online video consultation. PLEASE NOTE: We will not write a prescription for Testosterone Replacement Therapy before completion of a full workup and an in-person visit. You must visit Dallas-Fort Worth at least once and meet with one of our providers in person before you can begin treatment, and that is only if you are a candidate for therapy as determined by your reported symptoms, blood test results, and applicable clinical guidelines.